One mother’s need is another’s nightmare * Three mothers / 1990: Heather is horrified to be pregnant again. Gillian is desperate to adopt. Lindy is terrified her baby will be taken from her. In the middle of this longing and pain, a child disappears. * Two babies / Now: Vicky finds out she’s not who she thought she was. Kelly loves her mother. Wanting to help her, she innocently reveals deeply buried secrets. * One desperate woman: Every day a woman goes to a park, still trying to understand an event 22 years earlier that tore her life apart. But all these stories are connected. Can one of them learn the truth without tearing apart the lives of everyone else? A gripping psychological thriller from the author of A Time for Silence: top ten bestselling ebook (The Bookseller); finalist for The People’s Book Prize and Beryl Bainbridge Debut Prize runner-up. Thorne Moore mixes mystery and family drama in this gripping novel of secrets and love. Lindsay Ashford is the author of seven crime and historical novels. 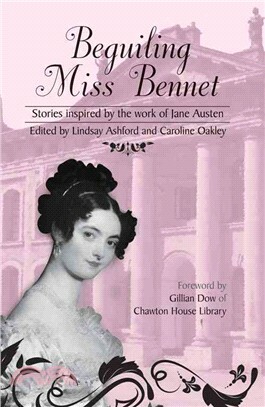 She has also edited several short story collections.The Mysterious Death of Miss Austen was dramatized for BBC Radio 4 in 2014 and has since been optioned for television. Her latest book,The Color of Secrets, was published in the USA and UK in April 2015 with German and Turkish Translations due out later this year. Beginning in 2009,Elisabeth Lenckos spent three months as a Fellow at Chawton House Library, a stay that changed her life. An awardwinning instructor at the University of Chicago and academic author, she decided to try her hand at fiction after she met Lindsay Ashford. Dr Lenckos holds a doctorate in Comparative Literature and divides her time between London, Chicago, and Berlin. She is currently writing a book on Marian Hastings, the wife of the first Governor General of Bengal.Caroline Oakley has worked on the previous two volumes of Chawton House Award winning stories as editor at Honno Press. She has worked in publishing for almost three decades and still reads for fun.Emily Ruth Verona received her Bachelor of Arts in Creative Writing and Cinema Studies from The State University of New York at Purchase. She is the recipient of the 2014 Pinch Literary Award in Fiction. Her work has been featured inRead. Learn. Write., Fifty Word Stories, the Toast, and Popmatters. She lives in New Jersey.